Nu-Way Industries, a large precision metal product fabricator in Des Plaines, Ill., marked 50 years in business last fall. The company recently shared what it takes to stay successful for so many years. Part of the success includes offering the latest technology and design services along with having a highly skilled work force. The company was founded as a small fabrication shop by brothers George and Joe Howard in 1968. “The brothers started Nu-Way Industries with a vision for using technology to improve manufacturing, and that’s what has guided the company ever since,” says Steve Southwell, president and CEO. Leveraging extensive in-house design and engineering capabilities with innovative manufacturing technology, Nu-Way Industries provides custom, end-to-end solutions that help customers succeed. Today, Nu-Way employs a staff of more than 300 in its 300,000-sq.-ft. facility. The company creates custom, end-to-end manufacturing solutions for businesses spanning all industries. Working with all types and gauges of metal, parts range from heavy-duty enclosures and housings to intricate components and interactive displays. An end-to-end planning approach enables the company to provide a broad spectrum of value-added services and manufacturing capabilities necessary to serve a full range of customers. Beginning with design engineering, Nu-Way works directly with customers’ designers or independently to create the assemblies and drawings. 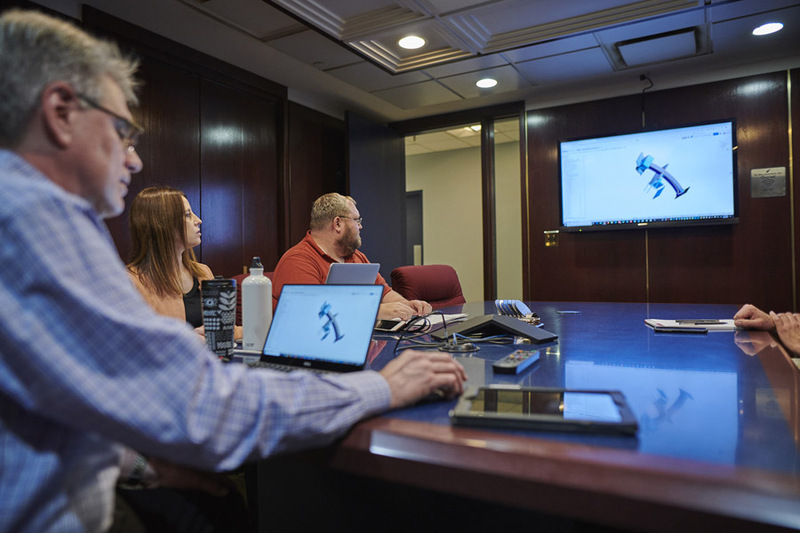 Next on the to-do list is prototype fabrication and tool design where the focus is on producing a cost-effective product through enhanced manufacturability. Then, the product moves through the operations of the manufacturing process – from shearing and forming to welding, finishing and assembly – with attention being paid to high-quality standards at each stage. This approach relies on the collective efforts of Nu-Way customer teams. The teams, consisting of representatives from business development, customer service, engineering, prototyping and manufacturing areas, combine their talents and expertise to assure customer satisfaction. The majority of these customers has been doing business with the company for more than 20 years. Customers include Siemens, Schneider Electric, Middleby and Electrolux. Nu-Way products can be found in North and South America, Europe and Asia. 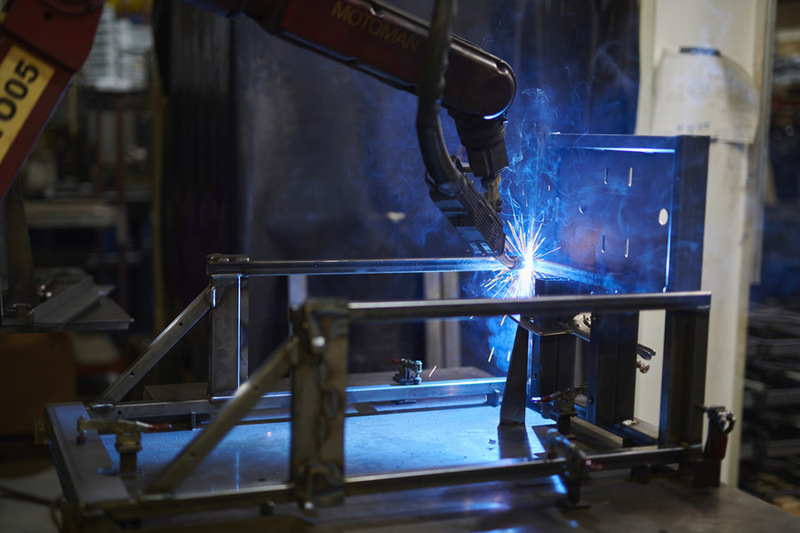 Nu-Way constantly develops new techniques and applications, as with its custom-built robotic welding cells. Nu-Way’s vertically integrated production facility features cutting-edge manufacturing equipment, including an advanced design lab, automated equipment and the use of robotics, which allow the company to make more than 1.5 million parts each year. The company consistently spurs industry innovation by deploying new techniques and technologies and by building its own automated processing cells that increase productivity and reliability. The original building is also home to five laser cutters, of which one is a punch laser combo; three punch shear combo machines with automated load/unload; four standalone turret presses; 24 press brakes from 12 ft., 300 ton down to 2 ft., 28 ton; as well as stamping machines and custom-built robotic welding cells. Since 2013, Nu-Way has used Epicor as its ERP provider, including use of its CRM and SCM system integrations. This fall, Nu-Way is upgrading to ERP 10. While not formally pursuing Industry 4.0 technology, many of the elements of it are utilized at Nu-Way, including robotics, 3-D printing, the Internet of Things and cloud platforms. 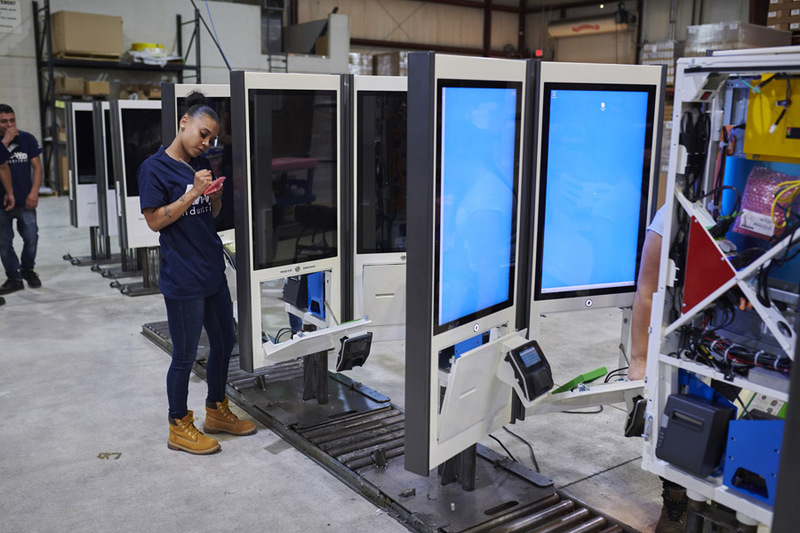 A Nu-Way employee performs a quality check on a self-ordering kiosk for a quick-service restaurant customer. Nu-Way’s equipment maintenance program ensures employees use equipment properly, that machines are regularly serviced and that plans for capital equipment investments are made years in advance. The skilled employees at Nu-Way who provide the design and manufacturing expertise and value-added services are the final key to success. During the 50th anniversary event, where local government and business leaders toured the 300,000-sq.-ft. facility, the company called on local and state leaders to support the next generation of manufacturing. 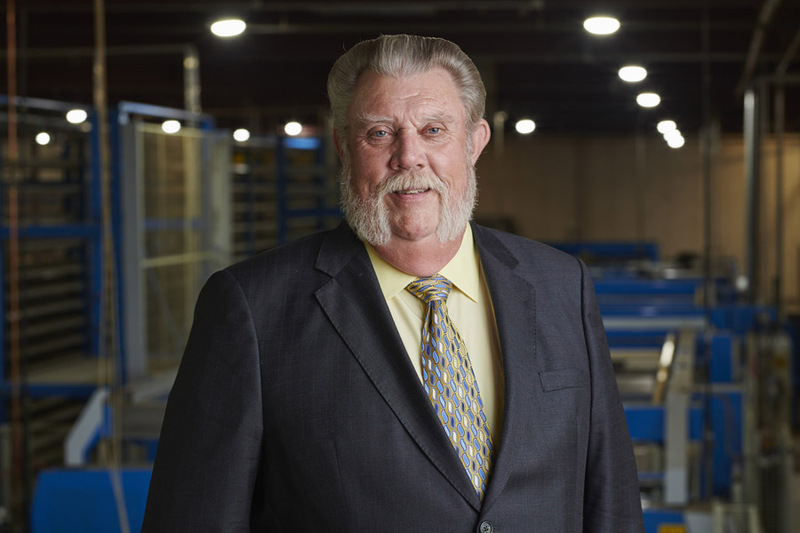 Steve Southwell, Nu-Way Industries’ president and CEO, says a “vision for using technology to improve manufacturing” has guided the company throughout its five decades in business. For 50 years, Nu-Way Industries has fabricated precision metal products based on its vertically integrated, technology focused product development methodology. To continue for the next 50 years, the company will continue to invest in its employees and technological resources. This will ensure its customers can grow and thrive, as well.